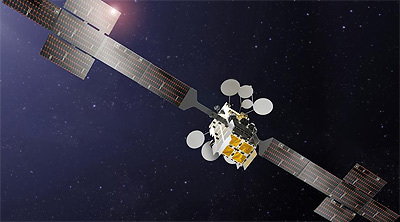 SES 17 is a geostationary Ka-band High Througput (HTS) communications satellite stailor made connectivity services over the Americas optimized for commercial aviation. The satellite will be equipped with close to 200 spot beams of mixed size for more flexible allocation of capacity over high-traffic airline routes and field-of-view beams to enable the most efficient delivery of Internet, live broadcast television and real-time content delivery. SES-17 will cover North America, South America, Central America, the Caribbean and the Atlantic ocean. The network will provide substantial gains over today’s broadband connections, ensuring ultra-high speeds, capacity, coverage and quality. To meet the needs of a growing market, SES will procure a new satellite specifically designed for the needs of FlytLIVE and manufactured by Thales Alenia Space to be launched in 2020. Built on an all-electric version of Thales Alenia Space’s Spacebus-Neo platform, SES-17 will weigh more than six metric tons at launch and will offer payload power in excess of 15 kW, with a design life of 15 years. SES 17 - 2020 Ko ELA-3 Ariane-5ECA with ?